Ms. Elizabeth Press is the Director of Planning and Programme Support at the International Renewable Energy Agency (IRENA). As part of her portfolio, Ms. Press leads IRENA’s work on climate and has been an active participant in the Global Climate Action (GCA) space since its inception in 2014. She is the GCA focal point for energy in UNFCCC and a vocal advocate for accelerated deployment of renewables as a key solution for climate change. 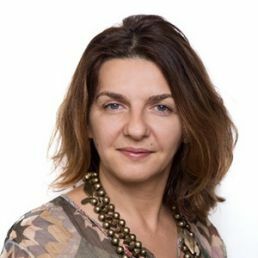 Ms. Press joined IRENA in November 2010 and was a member of the team that led the transition from the Preparatory Commission to becoming a full-fledged Agency in April 2011. Prior to joining IRENA, Ms. Press had some 18 years of international experience, mainly with the United Nations, in many locations, including USA, Switzerland Rwanda, Kenya, Burundi, Democratic Republic of Congo, Cambodia, and Kosovo. Ms. Press holds an MA in Public Administration. Energy transition is not a future event, it is a feature of today’s decision-making and people’s livelihoods. IRENA estimates that 90% of energy emission reductions can be met by 2050 with deployment of RE/EE. With electricity accounting for only 20% of the TFEC, progress in transport, heat and cooling is of the essence. 167 GW of the new RE capacity was installed in 2017; solar and wind accounted for 85% of this growth. RENA estimates that, by 2020, all current RE power generation technologies will be fully competing with traditional sources.